PT Link Physical Therapy always delivers top-notch services that are personalized and unique to each patient, that’s why wanted to open our Sylvania Township Aquatic Therapy Center. With the dual capabilities of traditional physical therapy and aquatic therapy, we are able to treat our patients no matter what condition may hold them back. The expert physical therapist team at the St. James Therapy Center will help you feel your best, take a look at our 5 Star Rating to see for yourself! To get here, you will find us on Bancroft Road between McCord Rd. & King Rd. 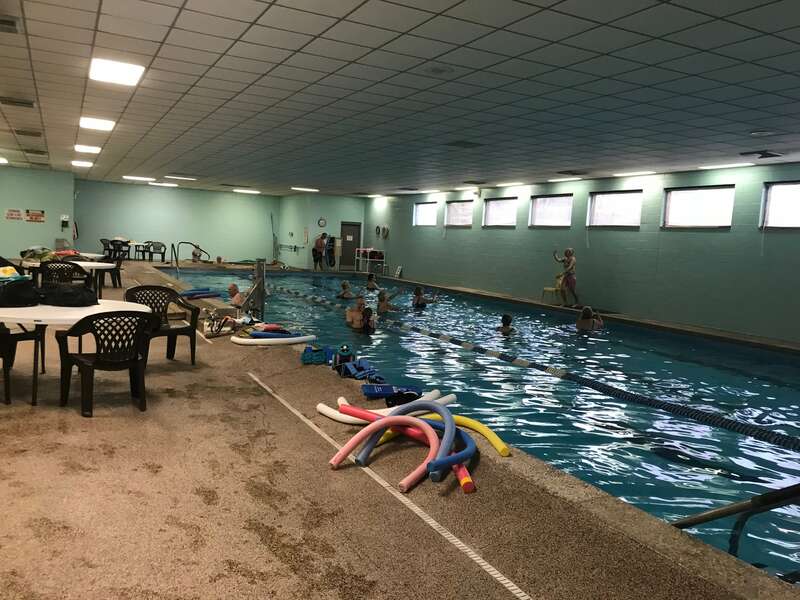 Our St. James Club Physical Therapy & Aquatics location is the most unique Toledo, OH physical therapy clinic as we offer a full range of aquatic treatments with our large pool. Aquatic therapy is beneficial due to the reduced stress on the joints as the water assists in supporting the body’s weight. Because of these characteristics, aquatic therapy is great for patients with healing fractured bones, arthritis, or those who are overweight. Two treatments commonly used in our pool are for Arthritis and Walking/Strengthening. For Arthritis, the water compresses the joints and reduces swelling. At the same time, it reduces stress which allows a better range of motion and lets patients strengthen muscle groups typically underused. If you have trouble walking, aquatic therapy is a great solution as well. Similar to how it benefits arthritis, there’s less stress of your body’s weight but the resistance strengthens a variety of muscles and improves coordination. Beyond those major treatments, aquatic therapy can also help with Post-surgery Rehabilitation, Low Back Pain, Hip Pain, Knee Pain, Injury Rehabilitation, and Sports Rehabilitation. If you interested in trying it out, schedule a free consultation to see if it’s right for you!